Are you a young and upcoming professional looking for the inside track? The Fairfax-Lee Chapter can help! Please join us for a Happy Hour event at Bar Loui in Woodbridge and learnwhat AUSA can do for you while having fun, networking, and building your resume all at the same time. 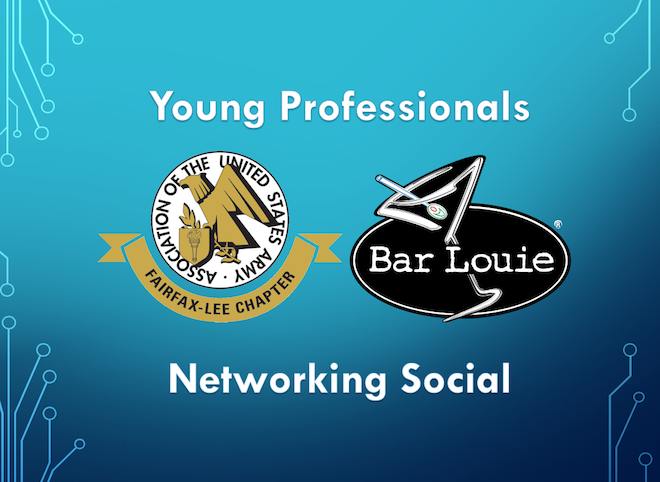 Young Professionals is a new group within the Fairfax-Lee Chapter with a goal of hosting their own networking events and creating programs for mentoring and professional development. The program is geared towards entry to mid-level professionals who are Active and Reserve Component, DA civilians, Family members, industry partners, small business owners, and ROTC Cadets. Complimentary first beer and appetizers provided!